Aircharge wireless phone chargers will be fitted to seating tables in every UK train within two or three years, an expert says. The technology went into service last week on a Waterloo- Weymouth Southern train service. Rob Wilkin, of commercial design firm Baker Bellfield, partnered with Aircharge to design two train-charging discs, a table top model and one built into the table surface. He said „We’re in discussion with HS2 about integrating smart technology into their new trains. Within the next two or three years I imagine all trains in the UK will have wireless charging for all passengers“. Wireless charging makes a world’s first debut on South Western Railway trains in the UK. Baker Bellfield, one of the UK’s leading suppliers of commercial interior solutions for the rail sector, and Aircharge, global leader in wireless charging solutions for contract use, have announced today the launch of the world’s first fully rail compliant inductive phone wireless charging system. On-train wireless charging will debut on South Western Railway’s (SWR) refurbished and reconfigured class 444 Siemens Desiro five-car EMUs on the London Waterloo – Southampton – Bournemouth – Weymouth route from November 2018. When the refurbishment programme is completed, all 172 of SWR Desiro class trains will have this new feature. With mobile devices becoming the best travel companions for personal and business purposes, including the use of mobile check-in applications and mobile payments, passengers are more than ever in need of a safe and convenient way to keep their device battery fully powered whilst travelling. The Aircharge – Baker Bellfield wireless charging solution is integrated directly into tables in SWR’s first class carriages as a complimentary service offered to passengers, enabling them to top up their mobile phone by simply placing the device onto the charger without the need of a cable. Utilising the universal standard for wireless charging, Qi, the system is directly compatible with over 130 Qi certified smartphone models, including the latest Apple iPhone and Samsung Galaxy models. The Aircharge – Baker Bellfield wireless charging units are the first to be manufactured specifically for rolling stock, complying with all mandatory railway applications and standards including EN501121‐3‐2‐2016, EN50155:2017, GMRT 2100. They are also IP55 rated, meaning they offer water and dust protection. The Aircharge – Baker Bellfield wireless charging solution can be surface or sub-surface mounted providing the flexibility of being integrated into tables, seat back tables, dado panels, window panels, grab rails and even side ceiling panels for metro applications, meaning expansion in standard class carriages and onto other railway vehicles is expected in the near future. “Wireless charging represents the future of charging mobile devices and the partnership with Aircharge will allow us to create a new standard for the railway rolling stock sector and beyond” said Robert Wilkin, Business Development Manager at Baker Bellfield. 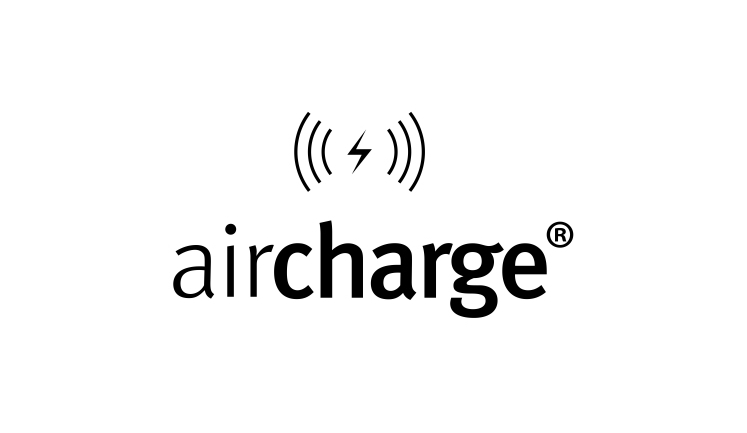 The train installation is part of Aircharge’s growth plan to further extend its wireless charging ecosystem into public transport, alongside its already established presence in public venues. Steve Liquorish, CEO and Founder of Aircharge, commented, “To date we have already deployed our solution on buses and in a number of airports and train stations across the UK railway network, in Europe, US and Middle East, and the expansion into trains consolidates our position as the leading provider for the transport sector, enhancing our public space proposition and offering users a convenient solution when they are most in need of keeping their mobile phones charged”. Aircharge already provides the most extensive wireless charging ecosystem deployed in public venues globally, including transport hubs, restaurant and fast food chains, cafes, hotels, retail shops and office installations.